Sunshine, lovely beaches, the Caribbean Sea and a perfectly blue sky – Dominican Republic has it all. 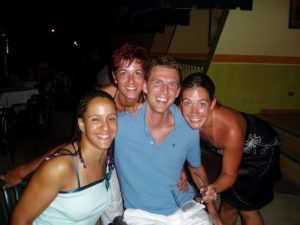 I’ve never been a sun shy person, so when I visited Puerto Plata back in July 2006, I fell in love with the Dominican Republic. 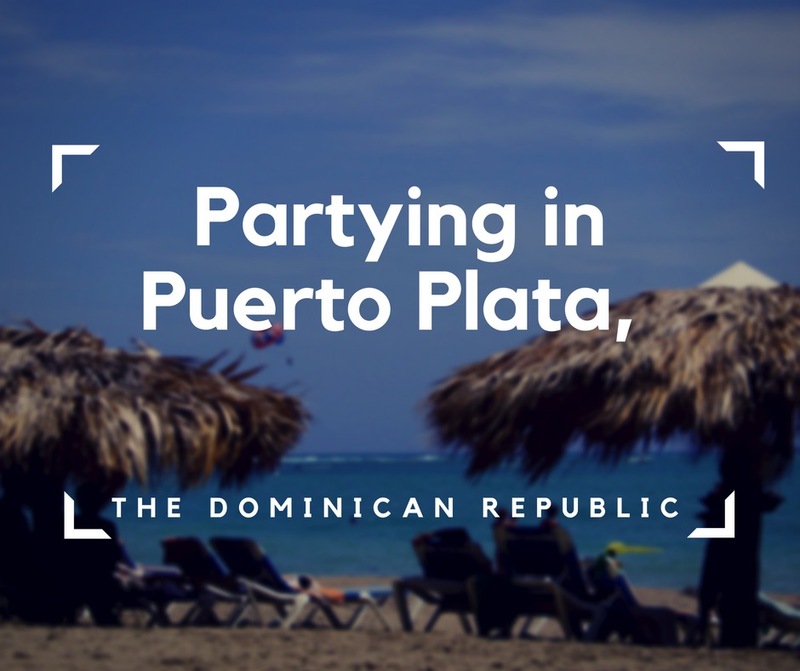 Puerto Plata’s located on the northern coast of the Dominican Republic, and it’s full of touristic resorts. I was there for two weeks, and oh my, these two weeks I will always remember! First things first: The Dominican Republic was the first Caribbean country I have ever visited. Before going there, I read it was the most popular destination among all Caribbean islands. I was curious whether the hype was justified or not, and vacations seemed to be a perfect time to check it. When I arrived there, I was struck by its beauty. The sea was so blue I could barely believe it’s not a mirage, and beaches were as lovely as on touristic postcards. I stayed at an all inclusive resort, and everything I wanted was a stone’s throw away. 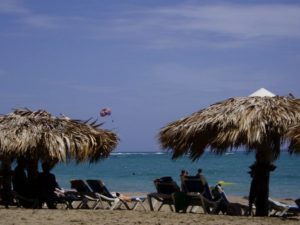 To be honest, Puerto Plata’s may be a tourist’s paradise. There are plenty things to do there! I’ll list just a few of them, but remember – the list’s much, much longer. Caribbean beaches are hot, and they make everything look idyllic. What’s better than sipping a delicious cocktail from your coconut? I absolutely don’t want to sound like a travel agent, but the idea of Caribbean relax is like a dream come true. The list of Puerto Plata’s attractions is pretty long, even though it’s not what the city’s known for. The Brugal Rum Factory gives a chance to try local rum. Brugal is the largest producer of traditionally made rum, so if you love to try new things – it may be for you. The city’s full of Neoclassical and Victorian-style houses. You can also see the ruins of the settlement built by Christopher Columbus himself. As much as it all sounds marvelous, what I loved the most about Puerto Plata was its nature! Everything was so beautiful – vibrant and colourful. As much as I can’t make out names of dishes I ate, I can clearly remember they were outstanding. The cuisine of the Dominican Republic was incredible. 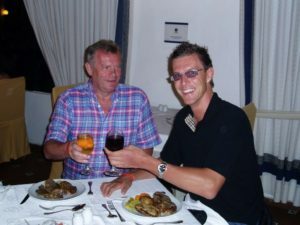 I can still remember a taste of popular Dominican coffee Café Santo Domingo, drunk in the morning sun. It was definitely something my taste buds refuse to forget. I’ve always liked partying, so let me assure you I’ve had my taste of local nightlife. There’s certainly no shortage of good clubs, bars and restaurants. The atmosphere’s pretty international since the place’s very touristic. I’ve made friends from France, Jamaica, Switzerland, to name a few. Boredom’s a real stranger to Puerto Plata. Every evening there were plenty of performances by various artists. The joy was in the air, and people were absolutely fantastic. I had a lot of fun, and I could say that magic, magic was there. Obviously, water sports are extremely popular in Puerto Plata. Diving, kayaking and water scooter – this is what I would definitely recommend you to do. Been there, done that, LOVED that. Hotels are quite accessible. 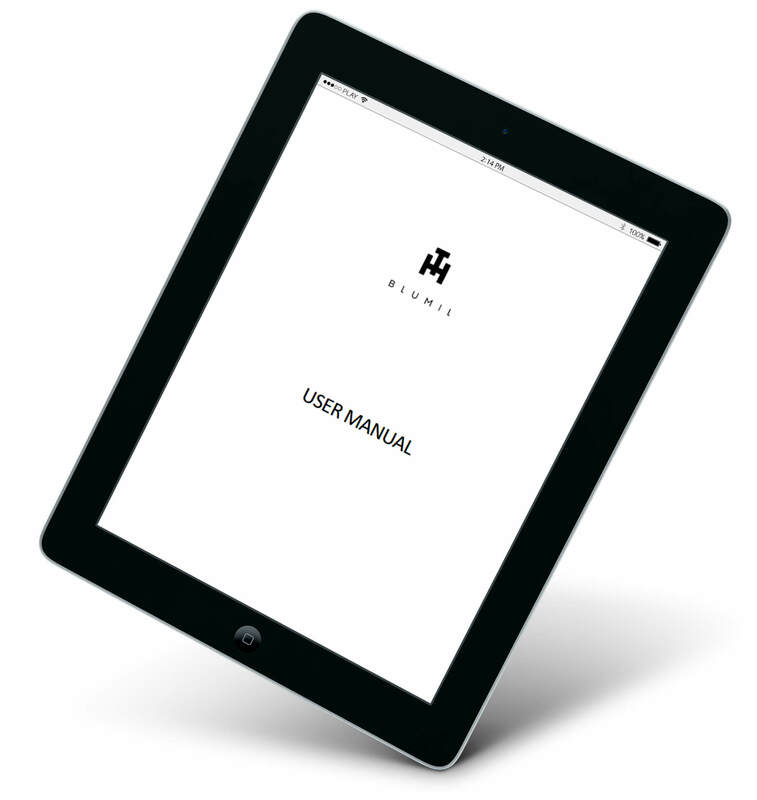 It’s clear from the start whether a hotel is catered to wheelchair users’ needs or not. Narrow doors to bathrooms or terrible elevators shouldn’t be a problem. There are sunbeds along beaches’ pavements, which is truly a nice convenience. 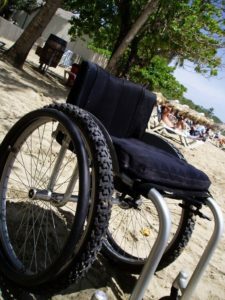 Most of the attractions can be accessed in a wheelchair. 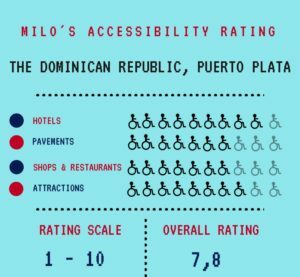 Generally, both shops and restaurants have ramps or even entrances. I didn’t have many problems with accessing places I wanted to visit. It’s not always perfect, but on whole, it is ok.
Pavements are mostly even, and kerbs aren’t a great problem. Again, the situation’s not ideal, but it’s not bad either. I didn’t explore the island by car, but I was told there was a possibility to do so. People warned me it could be very dangerous, though. 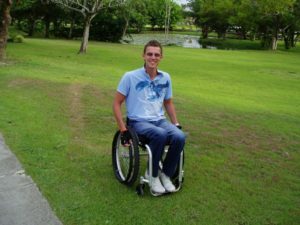 When I visited the Dominican Republic, I took my all-terrain wheelchair with me, and it proved to be useful. I could easily access many of the island’s beaches, and moving around was quite easy.